The biggest worry of beginners is that online casinos are operating unregulated and without control. The reality is quite the opposite. Online gambling is heavily supervised by governments, and because of that there are many righteous and respectable online casinos. The first online casinos were opened in the mid 90s when online gambling was practically non-existent and new. These casinos paved the way for countless number of other online casinos and have helped in defining this industry more precisely. The best example about how safe online gambling can be is in the case of UK online casinos. 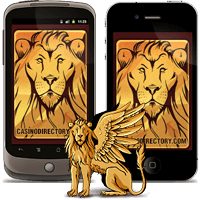 The biggest online casinos there are publicly traded companies, which makes them even safer and more regulated than any other because of the focus of the public on them. Is online gambling different from land-based casino gambling? Yes, it’s extremely different. The appeal of gambling from your home makes this past-time activity even more fascinating and convenient. In this article, we’ll give you guidance what to do when you’ve decided that you want to spice up your free time with some online casino action. This guide present 5 basic steps and aspects that beginners need to know. We hope that with it we can provide you with basic knowledge that you can use for an enjoyable online casino experience, so read carefully as you go through the paragraphs below. Realizing how important is for an online casino site to be licensed can happen in two ways, the bad or the good way, and we wouldn’t want you to find out in the bad way. New players probably don’t fully understand why this is important. A license indicates that the online casino complies with gambling laws and that it’s legitimate. This helps for developing reliable and safe practices, and for adhering to the standards imposed by a licensing jurisdiction. That way a trustful relationship is built between the casino and its players. When you understand how important it is to choose a licensed and regulated online casino, you can understand why at our site we present only casinos with valid licenses. When you have reached a decision at which licensed online casino you’d like to play, the next step is to create an account. This will be the easiest and quickest step. Just go to the casino’s website, look for the sign-up button (always displayed at the top of the home page) and click on it. Enter some basic and mandatory personal details such as your name, surname, address, telephone number, country of residence, postcode, date of birth and email, and choose a username and password. There might be an extra field for entering a relevant Bonus Code issued by the casino with which you can activate a bonus, usually a welcome bonus. All of these details are then encrypted and stored on a secure server. However, before you create your casino account you’ll need to see if the online casino has a banking method that you can use, and see if it’s offered for both deposits and withdrawals. Without being able to deposit that casino is worthless to you. Banking methods are always displayed in a separate section of the website commonly titled as “banking methods”, “banking”, “banking options”, “payment options”, “payment methods” or “cashier”. There you‘ll be able to view details about the methods offered, such as transaction fees, processing times, availability, minimum and maximum deposit/withdrawal amounts etc., as well as instructions on how to use them. Nearly all online casinos provide their games in two modes. They give you the option to download them as a program that is no larger than 10 MB, and the option to play them instantly with which you’re required to have the casino website opened at all times. Both modes are convenient, it’s just a matter of preference. If you choose to download them you’ll have the entire casino service in one program that you can access from your desktop. If you don’t, you’ll need to use the website of the casino. However, there are online casinos that have only the instant play option. No matter how flawless the services of an online casino are, now and then you’ll need assistance about different issues such as help with depositing/withdrawing, clarification on particular rules or promotions etc. Getting help from a casino’s customer support is essential towards building a trustful relationship with the casino. Three standard methods of communication are available: email, telephone and live chat. Almost always all three are available at once, while some casinos lack live chat. The easiest way to reach a customer support agent is exactly the live chat option. It’s instant and direct. Using the telephone number is great too, but many casinos don’t feature a free phone number, so it may be expensive for you. And lastly, email is the most time-consuming method, because it’s based on “first-come, first-served” method, and there might be other email queries before you. Promotions and bonuses are integral part of the overall service of an online casino and they are there to prolong your playing time without having to spend additional of your own money. A standard bonus offering is the Welcome Bonus, sometimes referred to as First Deposit Bonus because it’s given on top of your first deposit at the casino. The majority of bonuses are related to your deposits by matching a certain percentage of the deposit amount. That percentage is given as bonus. The most important detail with bonuses is the conditions you have to meet in order to be able to withdraw any winnings from the bonus. That’s called a “wagering requirement”. It alludes to the overall amount you need to wager before being able to withdraw and is used to discourage bonus abusers from signing up. If the wagering requirement seems too large for you, don’t claim the bonus. Many additional bonuses are given too, and the same applies for them. Make sure to play at an online casino that values its players by maintaining an active bonus department as well as loyalty programs, also known as VIP Clubs or bonus programs. That means a lot of free cash! » Read on for our Frequently Asked Questions for Online Casino Gambling.